This year marks the 30-year anniversary of the Beavers' 1986 state title winning team. 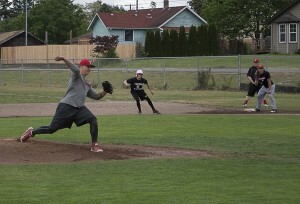 It would have been easy for the Tenino baseball team to call it a season after the way things started this year. The Beavers, who feature just three seniors and nine freshmen on their roster, kicked off their 2016 campaign by dropping five out of their first eight games. A district championship later and Hogue has more than received the answer to that question. 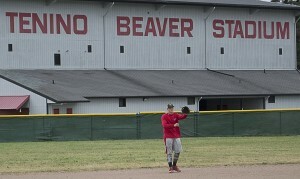 Despite finishing the regular season with a losing record, the Beavers have played their best baseball when it counts the most. 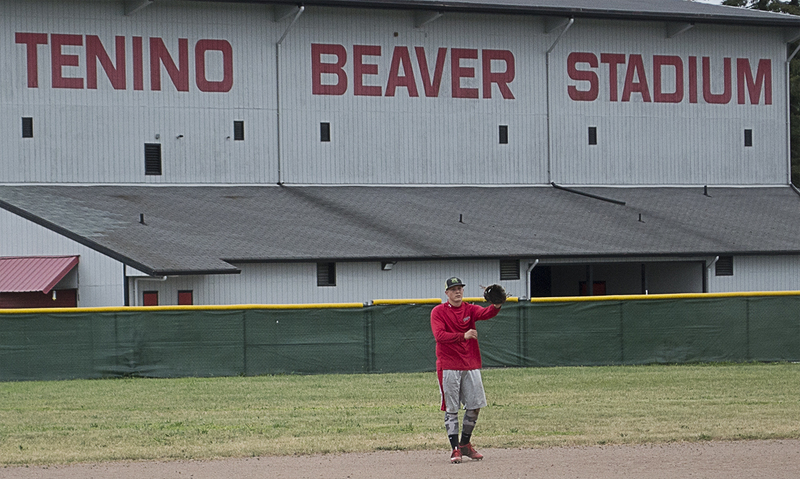 Calvin Guzman, one of just three seniors on the Tenino roster, is pictured during one of the Beavers’ practices. 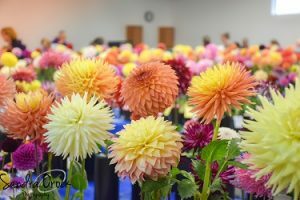 Tenino now takes a No. 1 seed into the regional round of the Class 1A state tournament. The Beavers will meet Nooksack Valley in the first round at 1:00 p.m. Saturday at Castle Rock High School. Should they defeat the Pioneers they will play the winner of Vashon Island and Meridian for a chance to advance to the state semifinals at Yakima County Stadium on May 27. Seniors Kaleb Strawn, Calvin Guzman and Lucas Edwards were freshmen the last time Tenino advanced to the semifinals, where they lost to league rival Montesano, 6-5, before finishing third. Despite finishing fifth in a league that sported the defending state champion in Hoquiam and a pair of larger 2A schools in Aberdeen and Rochester, Tenino entered the district playoffs with high hopes. 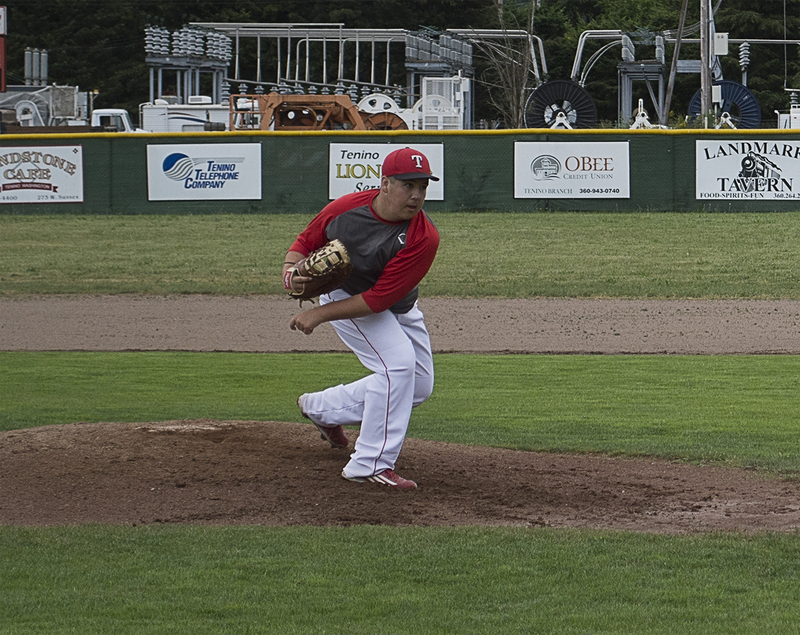 Tenino overcame a slow start to capture the 1A District 4 baseball championship. A first-round victory over TriCo 1A champion King’s Way Christian kicked off the Beavers postseason run with Strawn leading the way. The hard-throwing Strawn allowed just three hits and registered 16 strikeouts in Tenino’s upset 4-3 victory over the Knights. An 8-2 win over Eatonville in the district semifinals was followed by a championship clash with Hoquiam, a team that defeated the Beavers twice in the regular season. Trailing 4-2, Tenino (12-11) scored five runs in the fifth before besting the Grizzlies, 7-5, to secure the district’s top seed. Strawn, who was named 1A Evergreen League’s MVP, fanned eight during the title game. Strawn will once again get the start against Nooksack Valley, which had a similar regular season to Tenino’s as the Pioneers went 5-7 in the Northwest Conference, then turned it on at the district tournament. This year marks the 30-year anniversary of the Beavers’ 1986 state title winning team. Interestingly, this year marks the 30th anniversary of the last time the Beavers won the state baseball championship, accomplishing the feat in 1986. Tenino is one of four Thurston County schools to earn state baseball playoff berths. 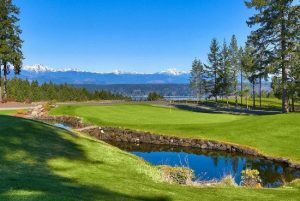 Joining the Beavers is Timberline, River Ridge and Tumwater. The Blazers, the sixth seed out of the 4A District 4 tournament, has made a habit out of making the state tournament as this year marks the seventh time since 2007 they have made the round of 16. Timberline (15-8) plays Skyline at Foss High School on May 21. The Hawks and Thunderbirds will both play in the 2A state tournament. River Ridge faces W.F. West at Wheeler Field in Centralia in the first round, while Tumwater meets Cedarcrest at Franklin Pierce High School.